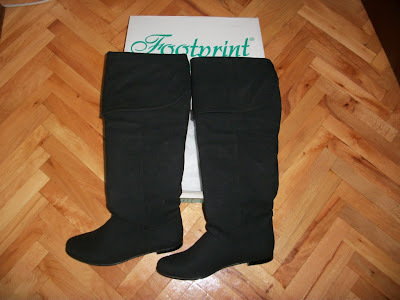 I won these wonderful black thigh-high boots from 37numara.com through a local giveaway. Actually I won a 100 TL GC and I chose these. I can also wear them as knee-high boots by folding the upper part. I'm planning to wear them in one of my gigs.